Welcome to the fourth day of General Assembly excitement! Once again the day is packed with great events for you to attend and here are just some of the sessions on offer. 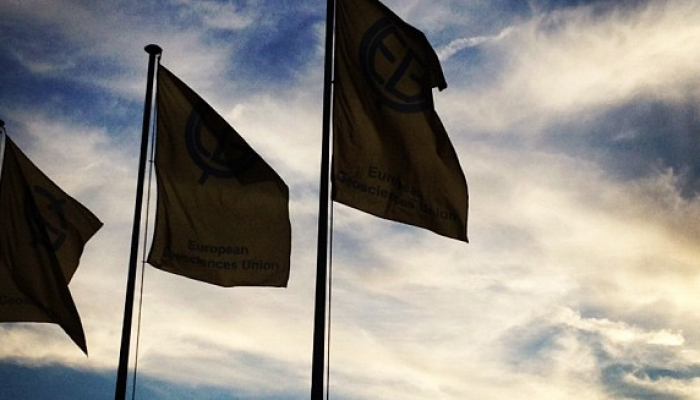 You can find out more about what’s on in EGU Today, the daily newsletter of the General Assembly – grab a copy on your way in or download it here. The Union-wide session of the day focuses on deep geofluids as the bringers of change (US2). The physics, chemistry and biology of subsurface fluids will de addresses in a series of talks. Discover more from 15:30­–19:00 in l6. Thursday sees the final two lectures in the series celebrating this year’s conference theme: Active Planet. From 13:30, François Forget (Institut Pierre Simon Laplace) will talk about other active worlds in the solar system. (TL5: 13:30 – 15:00 / Room 0.93). Immediately after you can enjoy a talk about The Active Liquid Earth (TL:3: 15:30 – 17:00 / Room 0.93) highlighting the importance of considering temporal and spatial variability of the liquid Earth. Thursday also sees another interesting Great Debate take place: Public peer review in open access publications, pros and cons (GDB, from 15:30–17:00 in E1). In public peer review, papers submitted to a peer-review journal are first published in a public discussion forum. The aim is to foster scientific discussion by making public review more transparent. But the system has its critics. Join the debate! Tune into to the session on Twitter using the #EGU16GDB hashtag or online at http://www.egu2016.eu/webstreaming.html. What have you thought of the Assembly so far? Let us know at www.egu2016.eu/feedback, and share your views on what future EGU meetings should be like! If you need a change of pace, stop by the Imaggeo Photo Exhibition beside the EGU Booth (Hall X2, basement, Brown Level). You can vote for your favourite finalists there and – while you’re in the area – take the opportunity to meet your Division’s representatives in today’s Meet EGU appointments. While on the subject of competitions, make sure to ‘like’ your favourite Communicate Your Science Video Competition film on the EGU YouTube channel. What’s new for the 2018 General Assembly?